GOLD FEATHERS. ADVENTURES, INSPIRATION, AND OTHER LOVELY THINGS. 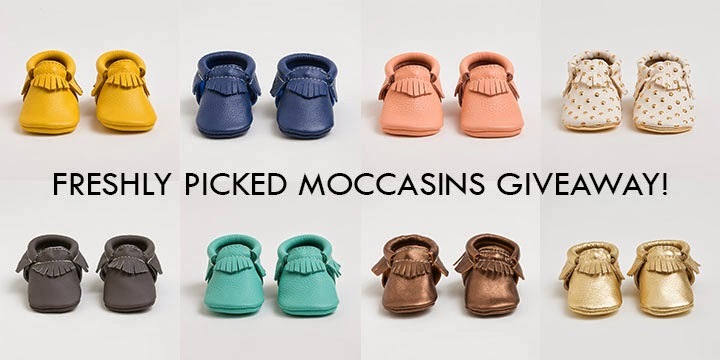 : FRESHLY PICKED MOCCASINS GIVEAWAY! when i was in SLC at the cricut explore event in january. she was the sweetest girl ever! AND...freshly picked is giving away a pair of moccs on my blog! here is my favorite new pair: the heirloom moccs. 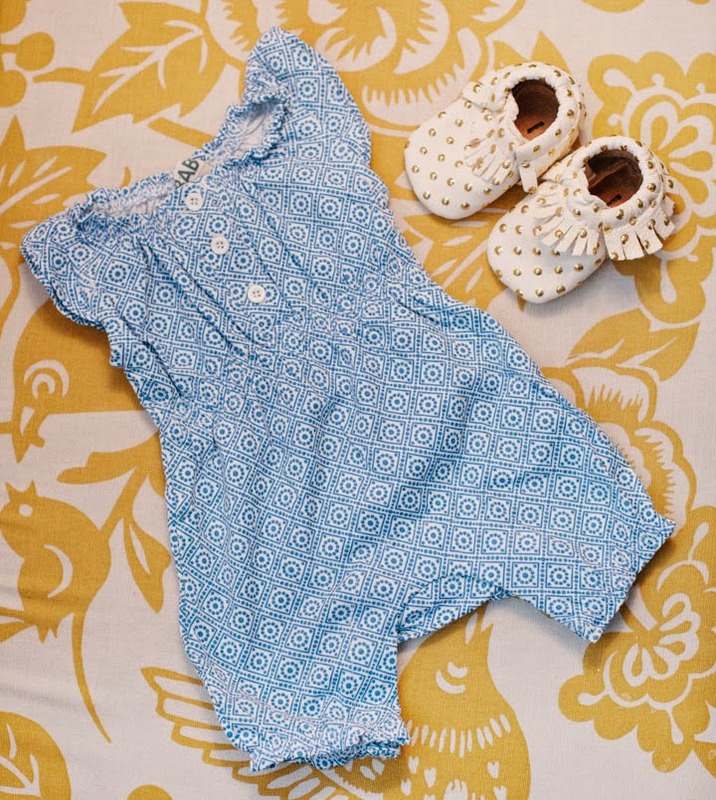 and an outfit i can't wait to put on my new baby girl this summer! 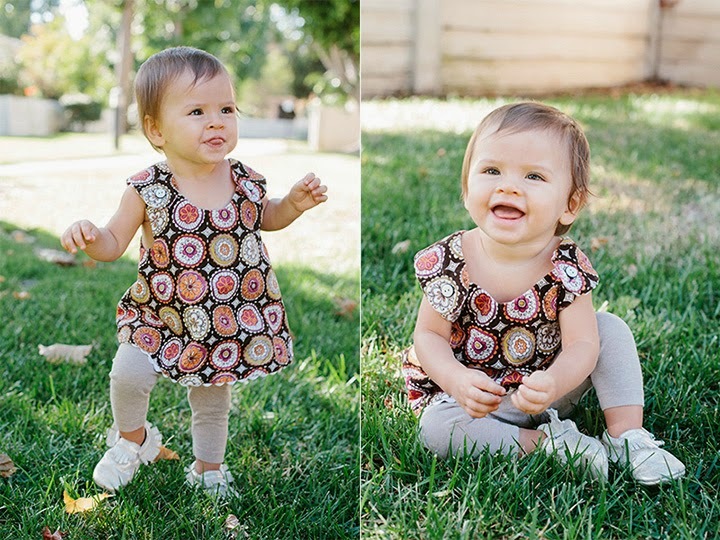 violet wears these moccasins everywhere, and they go with everything! here she is wearing moccs when she learned to walk at 11 months. they are perfect for learning to walk in because of the soft natural soles. and the best part is, violet is old enough to get them on and off herself now! that makes it so much easier to get out the door! 1) check out freshly picked's website. 2) leave a comment on this post telling me your favorite color of moccs. or make sure to include your email address. 3) for extra entries, share the post on another social media site or on instagram. + share the link to this blog post on facebook, your own blog, or other social media sites. make sure to leave an additional comment on this post with a link to each share. + on instagram, follow me: @jennrocket, and repost my giveaway post. 4) the winner will be chosen via random.org this saturday, april 5th. the moccasins in the color and size of your choice. that's it, hooray! disclaimer: first & last photo credit go to freshly-picked.com. this post was sponsored by freshly-picked.com. I love the new gray suede! These moccs really are the best! 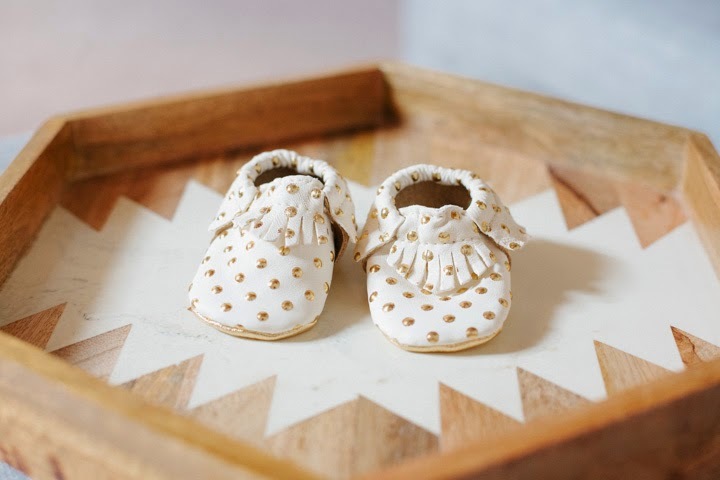 I don't know the gender of my baby yet, but I'd love to win the weathered brown moccs, regardless! I'm digging the weathered brown! Best giveaway woo hoo!! I want to own a pair of mocs sooooo bad! I am in love with the camo ones but they are sold out :( so next would be weathered brown. I love the heirloom and goldenrod, but since they are sold out I would go with platinum. They are really all so so cute! How do you pick just one?? I love the stone suede she launched the other day. Thanks for the fun giveaway! Love the Steel and new Glacier color! My nephew would be even more adorable in the Ox Blood ones! The heirloom ones are fantastic! 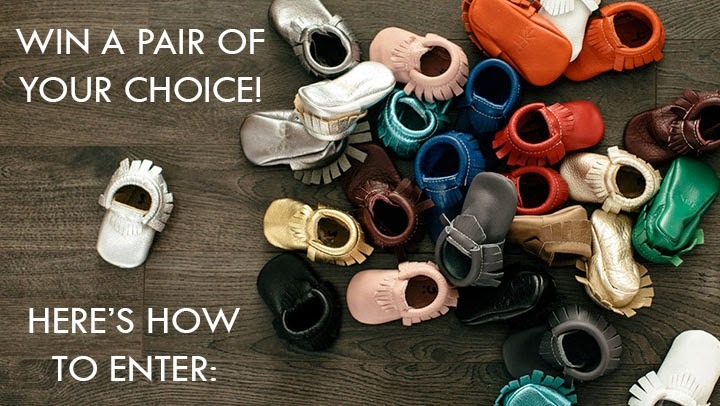 I would love the heirloom moccs for my little girl or the black for my boy! I would choose the weathered brown! My email is cococt210@aol.com. Thanks for the great giveaway! Love the heirloom ones as well! Perfect for matching everything. i like the coral mocs!